Superbike Stand & Front Arm. Simple & safe to get both wheels off the floor. Keep your Front & Rear package 2 neat and secure on the wall. 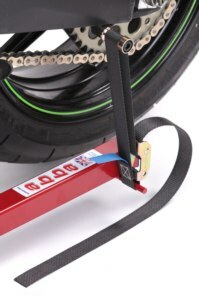 If you are looking for a set of stands to raise both wheels from the ground that can easily and safely be used on your own, allow full maintenance, keep your pride and joy safe, are upgradable for future bikes and above all else will not break the bank then look no further then the abba Front and Rear Package 2! 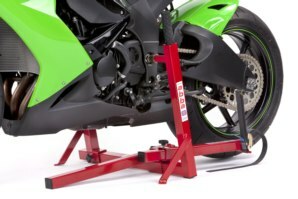 With all the features of the award winning Superbike Stand and Front Lift Arm combined together at this discounted price its easy to see why this set of stands is by far our most popular selling package. Product Protected under various patent laws. You save $80.00 with this package. 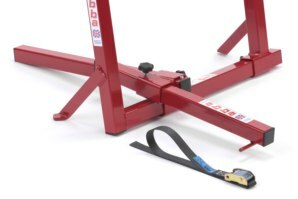 Forks and triple clamps can be easily removed as nothing restricts your access. No compression on your fork and shock springs unlike normal stands. A must have for long term storage. 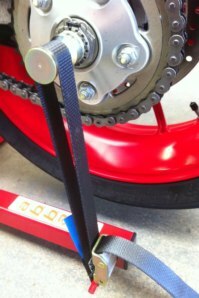 Can be used on over 300+ different motorcycles, including twin and single sided swing arm bikes. Quality made with high grade materials, built to last! Viewing records 1 to 5 of 22. This is a brilliant stand! 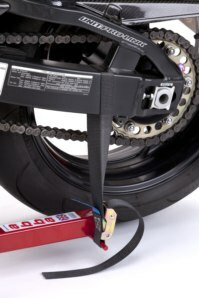 Easy to use, and holds the bike up safely. I picked it up to remove the fork on my bike, and it made the job easy to do. I'm planning to drop the rear suspension next, and it should be a breeze. Shipping was fast, and customer service excellent! Thanks! Awesome bit of kit! 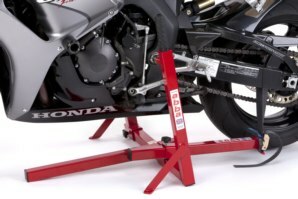 Solid and robust - I'll never worry about getting my bike up on a paddock stand again! Build quality is pro level and I'd recommend this combination to anyone. 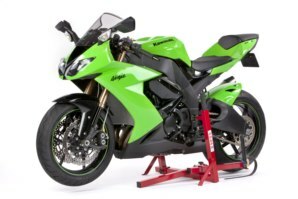 Use our drop down list above to select the correct fitting kit for your bike. 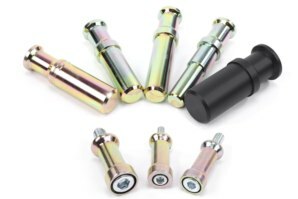 If available for your machine you will also be given the option to purchase a spool Adapter or Hub Spindle should you need one. If you don't see your bike listed we may still be able to help you. Use the "ask us" form for more info. Does the abba Package 2 come with a guarantee? For full shipping information please see our Shipping information page. Got a Question about the abba Front & Rear package 2? If you would like to ask us a question about the abba Front & Rear package 2, simply fill in the form below and we will contact you within two working days. For a faster response, during office hours, please phone 0044 1245 322331. Want to tell a friend about the abba Front & Rear package 2? Alternatively fill in the form below and we will send an email on your behalf to your friend, with a link to this page all about the abba Front & Rear package 2.